Last Sunday I attended my very first MeetUp. Have you heard of these? If you look them up online, MeetUps are groups of people that share a common interest and get together to partake in that activity. There’s all sorts of MeetUp groups – hiking, biking, crafting, and lots more. It’s such an awesome way to meet people who share a common interest. This past Sunday’s Meet Up was for a group of people that decorate their planners. I know you’re thinking – what do you mean by “decorate”? They use things like stamps, washi tape, stickers, colored pens to make their planners pretty. I’ve used planners for years, but never realized people actually decorated them. I discovered this whole craze on Instagram and started following a bunch of people that decorate their planners. I know, kind of different. It is a fun creative outlet though! For this particular MeetUp, we were to bring a food dish and a goodie bag. I didn’t think to take a picture of the goodies in the bag. I did remember to take a picture of my pretty tag that I made for my goodie bag. Here is my tag for my goodie bag. The tag turned out so cute, that I decided to remake it into a card too for my friend Annette, that I talked into going to the MeetUp with me. The card is almost identical to the tag, except I didn’t trim the corners of course. 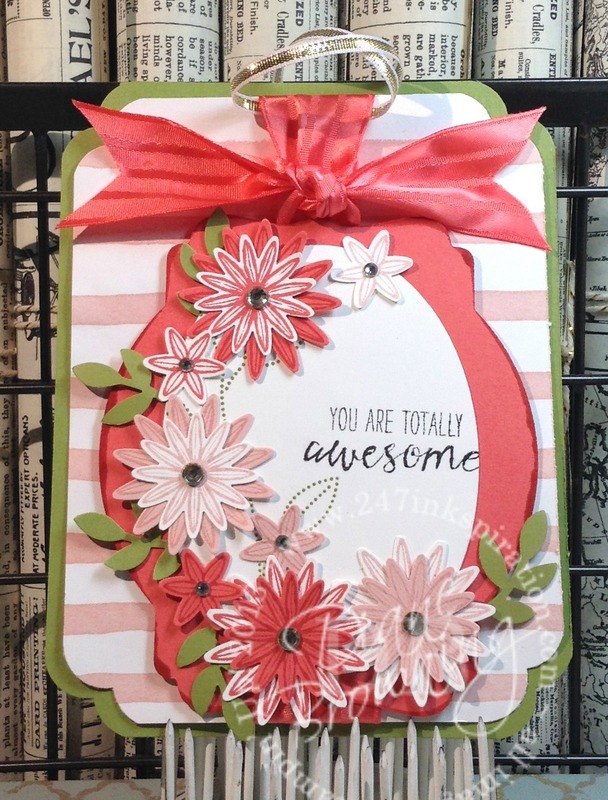 The tag and card use the Grateful Bunch stamp set and coordinating Blossom Bunch Punch. I love that gorgeous Watermelon Wonder ribbon. It is so pretty! I have to be honest and admit that I wasn’t going to buy this stamp set, or the coordinating punch. It was not one of those that immediately stood out to me. And I told myself that I did not need another flower set. 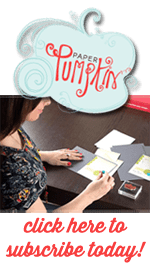 Then I saw several samples on the Stampin Connection board (that’s our private board for Stampin Up Demonstrators). And I was sold. Oh my goodness! So many pretty things with these flowers and the more layers, the better. And some rhinestones and WOW! I might have to make a couple more of this card. Maybe in other colors too. The MeetUp was a lot of fun and I met some really nice ladies along with some Instagram “superstars”, including the owner of Me And My Big Ideas, Stephanie Fleming. What a lot of fun! I definitely would go to another one. If you’re ever looking to meet some new friends, try a MeetUp group or start your own.